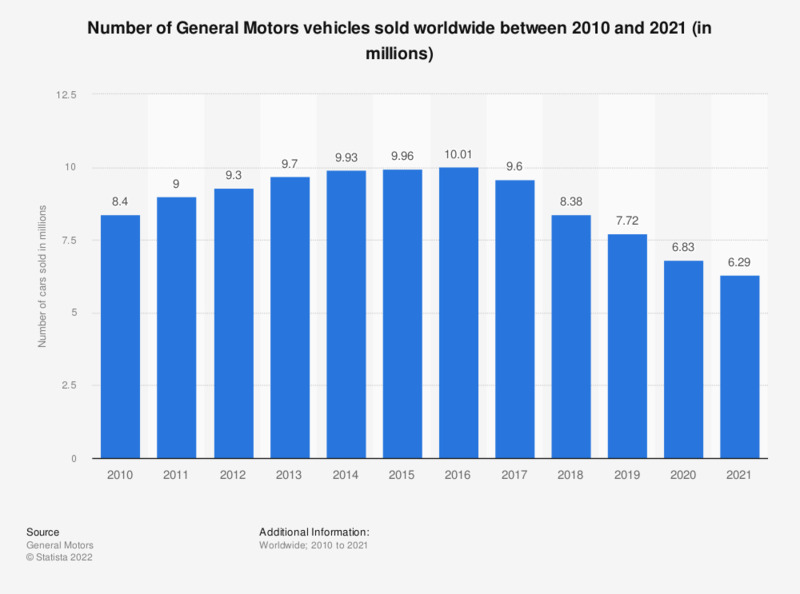 This statistic shows the number of General Motors vehicles sold worldwide between 2010 and 2018. In 2018, General Motors sold almost 8.4 million vehicles. The figures are for the years ended December 31. The values for 2010 to 2015 were taken from GM's annual reports.